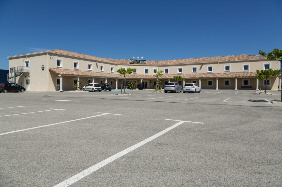 Hôtel Saint Laurent des Arbres 30126 parking et wifi gratuit | Hôtel pas cher Roquemaure, Hôtel Tavel, Lirac 30126, Pujaut, hôtel 3 étoiles Roquemaure. Bed and breakfast Roquemaure, Lirac, Pujaut, zimmer Roquemaure, zimmer Avignon 84, zimmer roquemaure – Hôtel design 3 *** Le Ya’Tis. Hôtel à Saint-Laurent-des-Arbres. 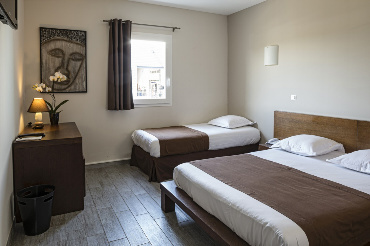 Our rooms (for 1,2 or 3 persons) are comfortable, functional and elegant. All are decorated with modern and design furniture for a relaxing and welcoming atmosphere (on smoking establishment). Superior room ( large bed 160/200 ) , more spacious , equipped and decorated differently, it has a welcome tray with tea , minibar , a safe and more varied hospitality products. 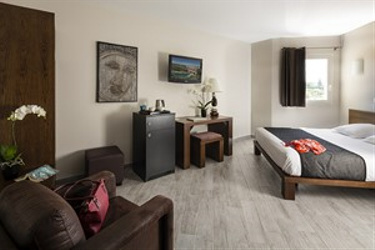 Triple room without desk ( 1 double bed 140/190 and 1 additional bed 90/190 ) . Triple room with desk ( 140/190 1 double bed and 1 extra bed) more spacious. 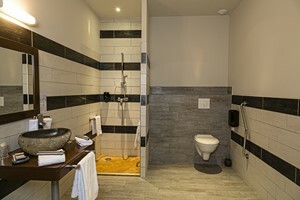 Free Wi-Fi access, air-conditioning, desk, phone, flatscreen TV (Canal +), full bathroom with walk-in shower and hairdryer . 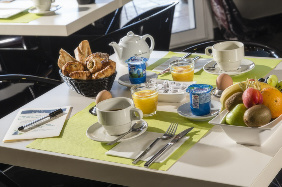 The breakfast buffet consists of hot drinks , fruit juices , yogurt , cottage cheese, fresh and dried fruit , pastries , baguette , ham, eggs, cheese, marmelade , jam , honey, cereals , rusks etc. 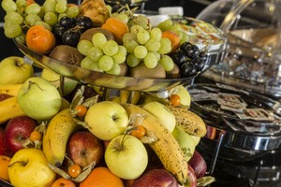 It’s served from 6:30am to 10:00am during the week and from 07:30am to 10:30am on Saturday, Sunday and holidays. – Rooms are available from 03:00pm on the day of arrival and until noon on departure day. – To confirm a reservation we require a credit card number and expiration date. – If canceled up to 48 hours prior to arrival , Le Ya’Tis won’t charge any fees. – If canceled within 48 hours of arrival , Le Ya’tis will charge an amount equivalent to the first night. – In cases of a not cancelled reservation and a no show on the day of arrival, the hotel will charge the total amount of stay including all services ordered when booking .